Huge, huge thanks to Miele and the lovely folk at Push PR for not only inviting me along to Jasper’s Spring/Summer 2011 show but also letting me take a sneak peek behind he scenes before the show. So, what happens at T-minus 30 mins to a catwalk show? Things are hectic but kind of laid back at the same time. 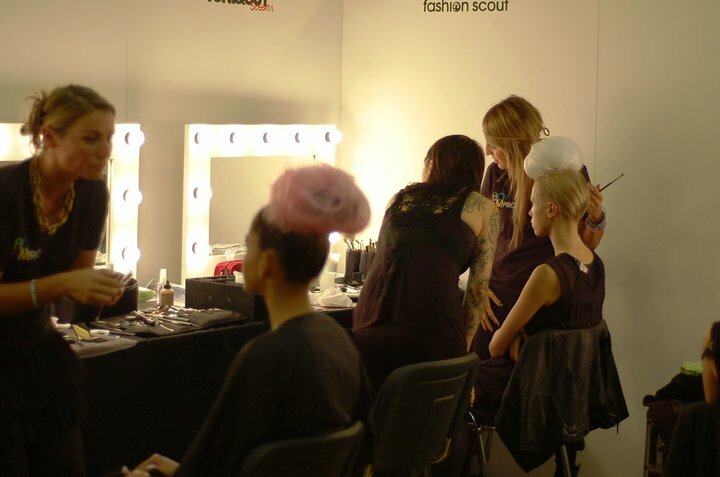 Impossibly tall and gorgeous models mooch around backstage getting made up or having their hair done – gorgeous candy floss puffs of pink and white. 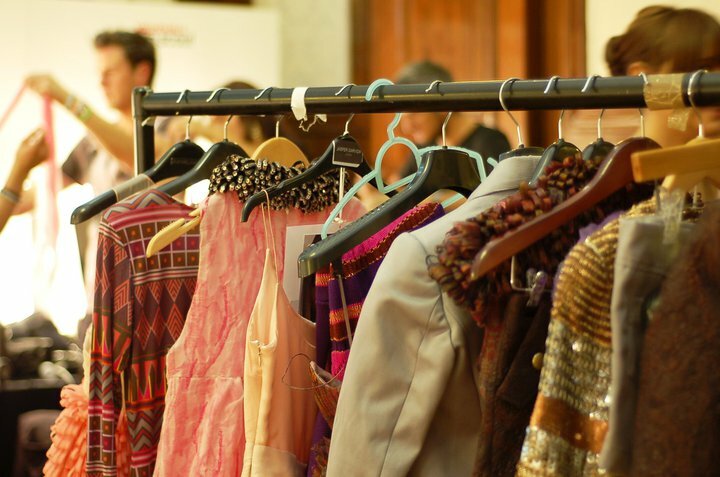 The clothes rails are centre stage with running order, names and polaroids of models pinned on. There is the cutest dog snoozing. Jasper is incredibly calm, he pops in and out to check how things are going. In the middle of talking to people, he looks at me and a look of recognition passes over his face, he remembers the interview I did months ago! He really is the most lovely person I have ever met. Onto the show. Aptly named ‘Belle’, the collection was a celebration of femininity. 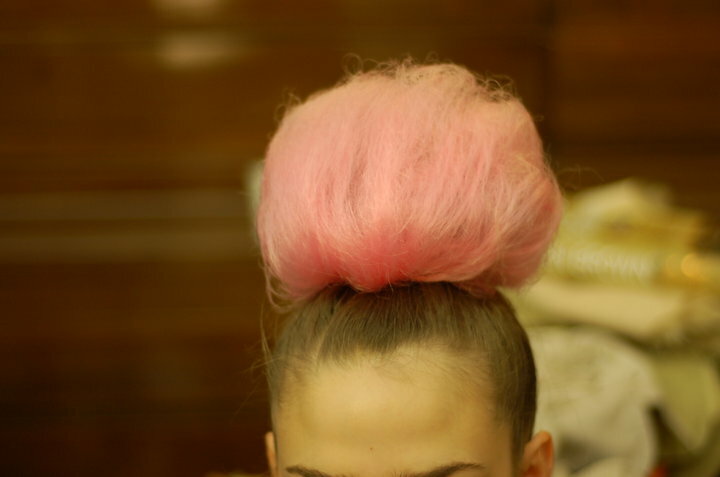 The candyfloss hair backstage was a preview of the sugary sweet collection. The colour palette was predominantly candy pinks and pretty lavenders with some metallics thrown in to stop it looking too saccharine. Having had the chance to view the collection close up, I saw the gorgeous little details which make this collection stand out – the pleated ballet skirts, the flowers made of chiffon, the fine fabrics, the cinched in waists. My standout pieces were the waistcoat made of gold discs and the heavily embroidered trousers. I love all of the gorgeous dresses too, especially the marble-effect ones. Huge thanks to Hannah at Push PR for letting me use these images seeing as my camera/memory card had a fail moment and wiped my backstage and show pics. Just the Jasper show..!